Eat your woes into oblivion. It's The Walking Dead Pudding Can Lunch Tote! Sit on the rooftop of your favorite building like Carl Grimes and eat your feelings into oblivion. 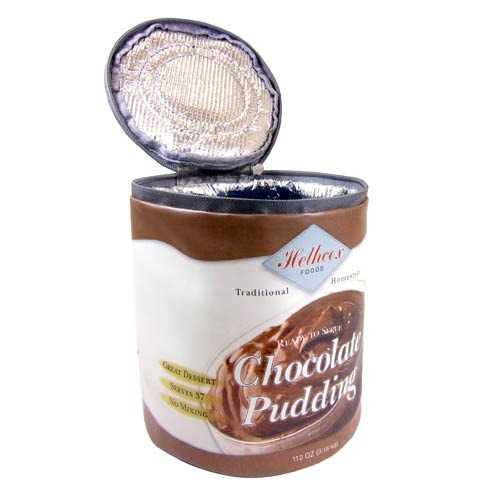 This great lunch box is an actual size and graphic replica of Carl's pudding can from the show. Features an insulated interior, short handle, and zippered lid. Tote measures 7-inches tall x 6 1/2-inches in diameter. Ages 14 and up.